Every organization begins with the same three-fold objective: develop the “product”, obtain sufficient resources, and capture the market/customer. The manifestations of this three-fold mission vary in magnitude, scope, and timing. The underlying processes and activities, the tasks and the milestones, the capacity and the capability necessary to succeed all must be carefully orchestrated and executed. The organization which succeeds is the organization which has the ability to concurrently pursue development of both the “product” and the “business”. One without the other is insufficient; it takes both a product the market wants and a delivery mechanism to get the product into the end-users’ hands. Chicken or Egg – Which Comes First? Founding a business is much like the chicken and egg conundrum – which comes first the chicken or the egg? The business does not exist without its product, but the product without a sound business model has nothing to propel it into the market. 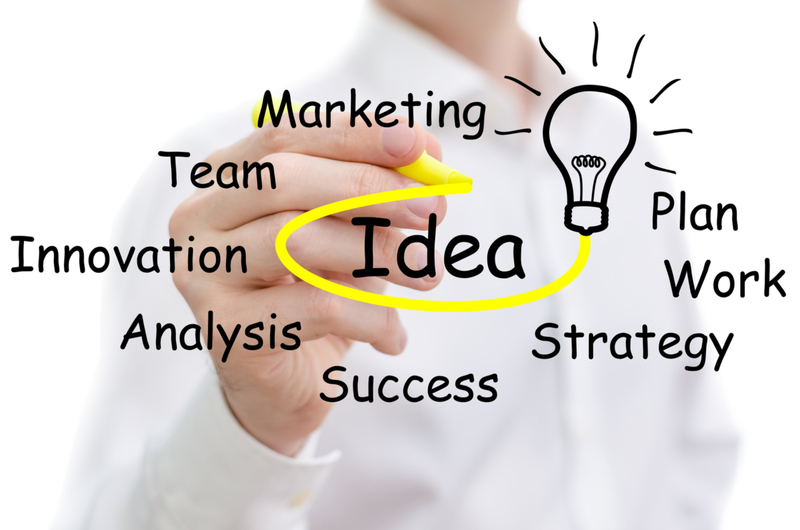 With ideas come organizations, with organizations come products and activities to ensure the business will be able to find a market for its products. Without a market willing and able to purchase the product at a price which includes profit, the existence of a product – no matter how innovative or revolutionary – is meaningless. If you look at existing markets and products, whether they are software, hardware, medical devices, consumer goods, pharmaceuticals, or defense systems, the “best” product or technology isn’t always the one achieving the greatest success. Mediocre products and incremental technology improvements are examples of “winners’ in the market for customers, funding, and other measures of “success”. Making the connection between the product and the customer – recognizing the needs, wants, issues, desires, and problems, then developing the product, the message, the pitch, and the business to deliver on filling the gap in the customer’s life – determines whether or not a product or a business is viable and sustainable. Commercialization must begin from the conception point of the business whether that is the chicken or the egg…the move from lab to life begins with the realization that the market – the customer – decides, you deliver. What’s in it for you and your technology, product, service, innovation, depends upon your ability to understand what it is your customer is looking for – understanding what is in it for them – and reaching that customer effectively, efficiently. Achieving visibility is one key factor in commercialization of your product and business. Visibility must be underpinned with credibility – recognition of commitments, follow-through, realistic timelines, and other tangible and intangible components of demonstrating the capability of your organization to deliver. Capability is a matter of proof of concept and proof of functionality as well as the capacity to develop, produce, and deliver the “goods”. When any one of these (visibility, credibility, capability or capacity) is insufficient to support the claims, promises, and commitments, then the market has no time, no interest, and no money to spend on you or your product. 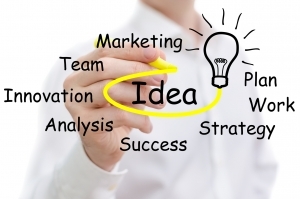 So where do you begin in the commercialization process? You begin with an understanding of your market options. Who are the potential customers for your product? What do they need? How aware are they? How well do you know them? How well do they know you? From an understanding of your potential markets comes the functionality and the customization of your product. This is how the fruits of your innovations and research, the application and manifestation of your ideas become products the market recognizes or can be educated to recognize as answers to their problems. The market must accept and understand that what you are selling is what they have been looking for. Without that recognition, the most innovative products will languish on the shelf – patents with potential, process with promise, profits without probability. Connecting to your market requires getting the message about your product through the masses of other communications and making it meaningful to the customer. It isn’t about what you want to tell them. It is about what they need to know about how your product solves their problem, meets a need, or satisfies some desire to standout, to fit in, or to whatever. If your message to your customer is a “me too” in which your product and your business are seemingly interchangeable with every other product and business, then you might as well copy your competitor’s ad, then do a “find and replace” with your information. On the other hand, if what you are offering is so unusual and beyond the familiar, then you have another challenge – avoiding the “tech talk”, acronyms, and all the things which fascinate you about what you do – because once again it isn’t about what you want to tell them, but what they want to know to make a decision. When you can define the critical decision making criteria of your customer, then you can provide the answers to those questions. Everything from functionality, reliability, price, and the multitude of things which impact the decision-making frame of mind is information you need to provide. Keep in mind that the nature of your product and the “solution” you are providing impacts what the decision-making criteria are. If you are selling an “image” product, then price may be part of the equation – as a means of communicating the “value” or “position” of the product in the market. The higher the price the more exclusive the clientele, so price isn’t about cost but about the neighborhood. On the other hand, if you are selling a solution in a commodity market, then price is viewed from the other end of the spectrum. Your “me too” product is price constrained. The bottom-line objective of having a market, a product, and achieving profitability is having the ability to position what you are selling to a market looking for what you have. Selling your product is a matter (at least in part) of positioning your product in the context of market needs. Most businesses have multiple options on how to provide services, the features and functionality of the product to be offered, and on how a technology is applied. The ability to develop the “product” and match it to market needs is how businesses succeed. Adapting to the market opportunities is how to achieve your objective. Copyright © 2007 Lea A. Strickland, F.O.C.U.S. Resource, Inc.